Product #46675 | SKU 18840/B | 0.0 (no ratings yet) Thanks for your rating! The K&M 18840/B Baby Spider Pro Keyboard Stand features a slim profile and extended support arms that are height adjustable anywhere on the 38.97" (990mm) frame. The arms are capable of a 77 lbs (35 kg) load and a second tier may be added (optional 18865 or 18866). 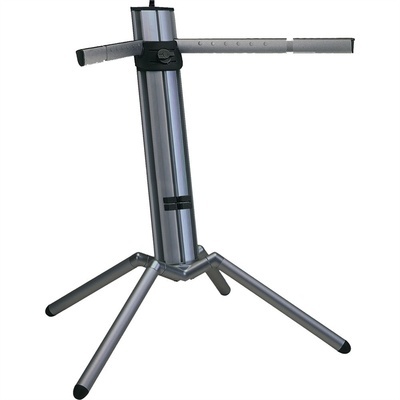 Additional features include 3/8" and 5/8" adapter for attaching a microphone boom arm, and cable management conduit. The arms breakdown and store within the stand, making it a lightweight easily transportable unit.